Using the Akkerman core sampler, samples are taken in stainless steel sampling tubes in auger holes or casing tubes (above as well as under the groundwater level, casing tubes with minimal diameter 100 mm) up to a maximum depth of 50 m. The Akkerman core sampler is used in combination with a tripod and hand winch. The sampling tube is beaten into the soil using a falling hammer. After sampling the sampling tube can be sealed off with the PE covers. A sample on the split sample tube can be prepared for transport by covering it with another split tube and sealing the seams and closing both ends with covers. The hydraulic extruder can only be used to remove the sample from the ordinary sampling tubes. The tubes with core catcher can not be emptied using this extruder. The sample must be removed by tapping or by pulling the plastic liner in which the sample is bedded if the liner had been placed in the core catcher before sampling. Using the connection set, which has not been included in the standard set, allows immediate leaching test in the laboratory, without the need to remove the sample from the sampling tubes first. 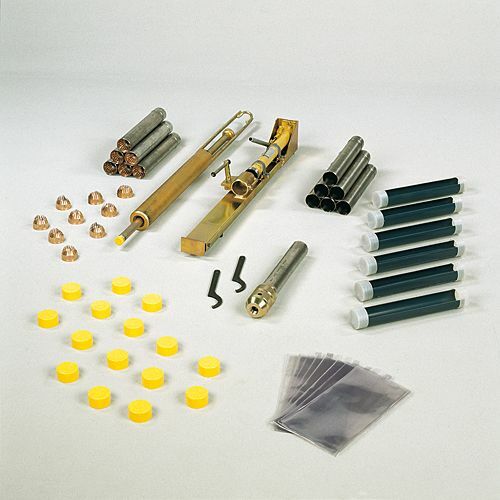 Among other items the standard set contains: an Akkerman core sampler, a falling hammer, various sampling tubes with and without core catcher, plastic sampling liner, sampling tubes, PE covers and a hydraulic extruder for the sampling tubes.